Over the last month I have been sharing a weekly interview series featuring different art therapists and how they use the power of the Internet and social media in relationship to sharing their work with others, professional development, nurturing creativity, cultivating community and more. It has been so fun to chat with everyone– many of the conversations have had crossover themes and topics, but at the same time uniquely different! I definitely recommend checking out and listening to the interviews- lots of inspiring reflections, resources, and experiences! Even though the Internet and world of social media can seem soooo big- online communities, social networking sites, and groups create amazing opportunities for us to easily connect to others that share similar interests…. or can introduce us to new experiences and resources— no matter where we live! Activate your online experience! While there is a lot of value in obtaining and connecting to information shared in digital groups, communities, and virtual spaces- don’t be afraid to reach out to others, respond with feedback or questions and share your own experiences with others. Connecting with other art therapists online helps strengthen relational support and decrease isolation, especially for those in private practice, who work independently, or interested in expanding their professional community. Social media is a great tool for sharing our enthusiasm and drive for educating others about the field, art therapy, promoting services, and the work of art therapists. The amount of knowledge, resources, and information available at our fingertips makes researching information about art therapy, how to become an art therapist, and special interests so easy and accessible. Lots of great resources were shared and recommended during each interview! You don’t have to use every social networking platform out there. You can manage your resources and time on social media with platforms that best fit you. Pacing yourself to develop a professional presence on different platforms over time can also be a helpful strategy. For many of the art therapists I chatted with, social media has been an inspiring place to connect with other artists, art-making, and art communities. Social media has helped positively motivate personal creative expression and art practices. Creating a social media strategy for sharing content can be an effective way to stay engaged and committed to ones professional digital presence. Blogging is a great way to share what inspires you, connect with others, and take stock about your work as an art therapist and artist. Everyone can contribute something valuable for others to learn from and be inspired by– you don’t have to be an expert, early adopter, or technology guru to start! Thank you to Carolyn, Petrea, Rachel, Lani, Theresa, and Jade for sharing their thoughts and experiences in this series. I am also honored and so excited to include their work and many others in my forthcoming book. Check out the series of interviews here! In addition, if you are planning to attend the 2017 American Art Therapy Association conference in Albuquerque New Mexico, this November I will be offering an Advanced Practice Course, The Art of Creating a Professional Digital Presence on the conference’s first day. If this topic interests you, the course presents practical content about how art therapists can create a strong professional digital presence through the use of social media. Participants will be introduced to strategies and considerations for cultivating a presence online that aligns with ones professional work, passions, values, and career interests. Identify approaches that social networking can help create or enhance a professionally focused profile or activities for art therapists. Advanced registration is open until October 31, 2017. Download the conference brochure here. If you are interested in learning more about current topics and practices related to digital art therapy, Jessica Kingsley Publishers just released a new book edited by Rick Garner entitled Digital Art Therapy: Material, Methods, and Applications. As the field of digital art therapy rapidly expands, this book guides readers through the many applications of digital media in art therapy. With consideration of professional and ethical issues, expert contributors discuss materials and methods, with case examples to show how digital art therapy works in practice. The text includes twelve chapters addressing a wide variety of art therapy approaches using and about digital media, such as stop motion, green screen technology, apps, light painting, and virtual reality. Using technology in art therapy with youth who have autism, adults with traumatic brain injury, adolescents, as well as for supervision and assessment are also explored. I am excited to also have contributed a chapter to this inspiring collection of content and co-authors. My chapter Social Media and Creative Motivation explores the relationship and impact social media can have on cultivating creative motivation, including considerations and examples about leveraging online and social networking sites as a means for inspiration, engagement, community, and connection. My chapter was initially inspired by this blog post published on Creativity in Motion a couple of years ago. That post reflected on archived Brainzooming content published by Mike Brown about how social media motivates creativity to create/make things/do creative stuff. Also included in my chapter are some of the collaborative projects I have worked on over the years, such as Spaces and Places: Where We Create and the Random Acts of Art Adventure. Examples such as Seth Apter’s The Altered Page and the Art Therapy Alliance’s Art Therapy Blog Index are also highlighted. The chapter offers an overview about how online activity in the form of collaboration, blogging, and social media sites can foster creative opportunities and encouragement. I know I have inspired by so many creatives online and I am grateful for this connection! It was fun to write this chapter and I thank Rick for the invitation to be included in his book with such an amazing group of art therapy colleagues doing such great work related to digital art therapy. I am excited to announce that in the new issue of the Journal of Clinical Art Therapy (Volume 3, Issue 1) an article that I co-authored with Girija Kamal, Michele Rattigan, and Jennifer Haddy about digital media and considerations for art therapy practice was recently published. Abstract: This paper presents an overview of national trends in visual art-making and art sharing using digital media, and, the authors’ reflections on the implications of these findings for art therapy practice. These findings were based on a secondary analysis of the 2012 Survey of Public Participation in the Arts administered by the National Endowment for the Arts. Survey findings indicated that increasing proportions of people in the United States are using digital media for creating, archiving, and sharing their art. Reflections by the authors on these findings include support for increase in use of digital media by art therapists for their own art and the need for research about, and, education on best practices for use of digital media. You can download the full paper available via open access on the JCAT site here. Background: This study was the final phase of a participatory design (PD) project aimed at developing professionally led online art therapy groups for young adults with cancer. Methods: We invited seven professionals with a range of relevant expertise to take part in a PD process that emphasized hands-on creative interaction. Each participant experienced one or more online art therapy sessions and provided feedback that we analyzed with qualitative thematic analysis. Results: The analysis yielded six inter-related themes representing three types of experience (comfort, sense of connectedness and expression) and three types of therapeutic action that supported these experiences (facilitation, group support and dialog about the art). Conclusions: The results assured us that our newly developed mode of psychosocial support was ready for online delivery to young adults with cancer. The results provided insight into therapeutic processes in online art therapy groups, especially with regard to collective meaning-making and sense of connection. Collie, K., S. Prins Hankinson, M. Norton, C. Dunlop, M. Mooney, G. Miller and J. Giese-Davis (2016). “Online art therapy groups for young adults with cancer.” Arts & Health: 1-13. In the project’s initial pilot, we met online over the course of many, many months through a closed chat room we accessed, as well as a private discussion board where we would post different art directives for our group to work on. During the course of this project each of us would rotate between facilitator, participant, and helped with evaluating the online tools and arts-based methods we were testing. Some of the directives we participated in used traditional art media and art-making (mandalas, dollmaking to name a couple of my favorites!) either on our own or we created our own images at the same time together, then uploaded our art to our discussion board for further exploration as a group. Other directives we engaged in used online or digital art-based tools, such as Pencil Madness, ArtRage, Polyvore, artPad and more. Often we would schedule a group chat where we could come together to process the directive and experience of exploring these programs and approaches using computer technology. We also had fun with group video chats through Skype and Google Hangouts. From the experimentation we did and evaluated together, this work helped inspire and inform what would become an online art therapy group that Sara would led for young adults with cancer. It’s been a pleasure and privilege to work with this tech savvy & creative team! It’s been great to have the opportunity to try out and learn different ways of making art and working together through technology. It’s also exciting to see how this groundwork can then be applied to facilitating online art therapy group work. I hope you’ll learn more about the results of this project through checking out our paper. Free access is still available for the first 50 downloads of the paper available here. For those individuals who are members of the American Art Therapy Association, a benefit of your membership also includes complimentary access to Arts & Health, where you can also have free access to download the article. Log into AATA’s Members Only section to learn how to access Arts & Health! 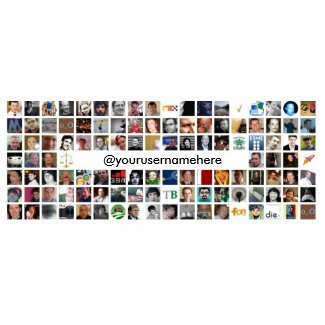 This week I stumbled upon this 2012 Brainzooming post, 61 Online and Social Media Resources for Motivating People to Create. Mike Brown’s content inspired me to take stock on my own relationship with social media, creative motivation, and to reflect more about leveraging online and social media resources for inspiration, connection, community, and more. How does social media inspire/motivate my creativity and interests to create/make things/do creative stuff in my daily life, relationships, work, and play? #1, #2, #19, #22, #38- Finding Connection, Community, & Support– This probably is my top reason I enjoy social media… Social media has the power to bring artists (and art therapy of course!) together, create connection, decrease isolation, etc…..on so many levels. #35- Learning Artistic Skills– Whether it’s a how-to video tutorial on YouTube, a new art technique to try out from Pinterest, or engaging in an online art workshop, there are soooo many social media tools & resources to build your creative skills as a beginner or seasoned artist! #41, #43– Exploring Creative Environments and Adapting your Environment to Better Foster Creativity– Online projects such as The Altered Page’s Living with Art, Spaces & Places: Where We Create, and even this blog post I recently contributed for the National Institute for Loss in Children, all explore and provide new ideas and a peek into the creative intersection of our life/studio/work surroundings for inspiration, daily practice, or self-care. #6, #7- Engaging in Online Exchanges & Creative Adventures– One of the many things I enjoy about the online world is being able to engage in art exchanges and creative experiences that originate through social media. It’s amazing fun whether it is a mail art endeavor or working virtually together on a common project. #9, #20 #21- Following Creative People– I find Twitter a dynamic place to easily follow people, trending topics, organizations, and news about all things creative that I enjoy, whether this be the visual arts, film, writing, crafting, technology, art therapy, and more. Twitter has connected and introduced me to some amazingly creative individuals and projects! #26, #60, #61- Learning New Tools to Express Creativity– Social media and technology online is constantly evolving with new apps and creative tools to use. Over the years (and now!) I’ve enjoyed experimenting with and using free programs such as Wordle, Tagxedo, Kooleido, Animoto, Polyvore, and so many more to create, share, and play with. Recently I enjoyed trying out the online program ArtPad, a virtual canvas painting program with a small group of art therapists I virtually meet up with to try out different computer based ideas. I enjoyed thinking about the creative possibilities inspired by the application’s features to not only make art, but invite others to participate too! #49- Discovering & Reading Blogs That Inspire My Imagination and Creative Self– If you need a good place to start, check out Seth Apter’s Art Blog Directory. Daisy Yellow, Dirty Footprints Studio, 14 Secrets, Right Brain Planner, A Big Creative Yes, among many, many others are my go to Artist Blogs for tons o’ inspiration. #17- Sharing Creative Work Online– While Facebook is definitely an active social media site to share art and artsy happenings online with friends, family, & colleagues, I really enjoy how Instagram has become a wonderful online source to follow artist work, activity, and captures. Whether it is a work in progress, final piece, snapshot of someone’s work space, studio, or tools of the trade- it is a visual delight to simply see (without all the Facebook distractions) when I tap into my newsfeed there. #7, #15- Enjoying Global Creative Experiences with Others– It’s awesome to bring people together from all over the world to work on or be a part of a common creative project or initiative through social media. I love this and the creative friends I’ve made around the globe through our love of art, making stuff, and encouraging our artsy selves! #5- Allowing Yourself to be Pointed to Creative Places Online Based on Others’ Social Media Links– Yes! Take in and enjoy Artful Link Love! #29-Create a Creative Manifesto– One of my favorite art-based manifestos is this one from Rebelle Society, which urges us to view ourselves as Creativists. I believe there’s definitely opportunity for further exploration of this kind of “manifesting” in my Creative Covenants online workshop as part of this year’s Spectrum… wouldn’t that be fun? #45- Organize a “Creativity Orientated” Music List to Listen To— I often listen to a variety of Pandora stations or Spotify when creating, but it would be neat to organize a playlist dedicated to “creating time”. #46, #52- Share Examples of Overlooked Creativity in Your World (and being more open to wonder, play)– There’s always room to play and wonder more– on and off line! I also think taking a mindful look at how creativity surfaces around you in different ways would be an interesting adventure and discovery to embark on! 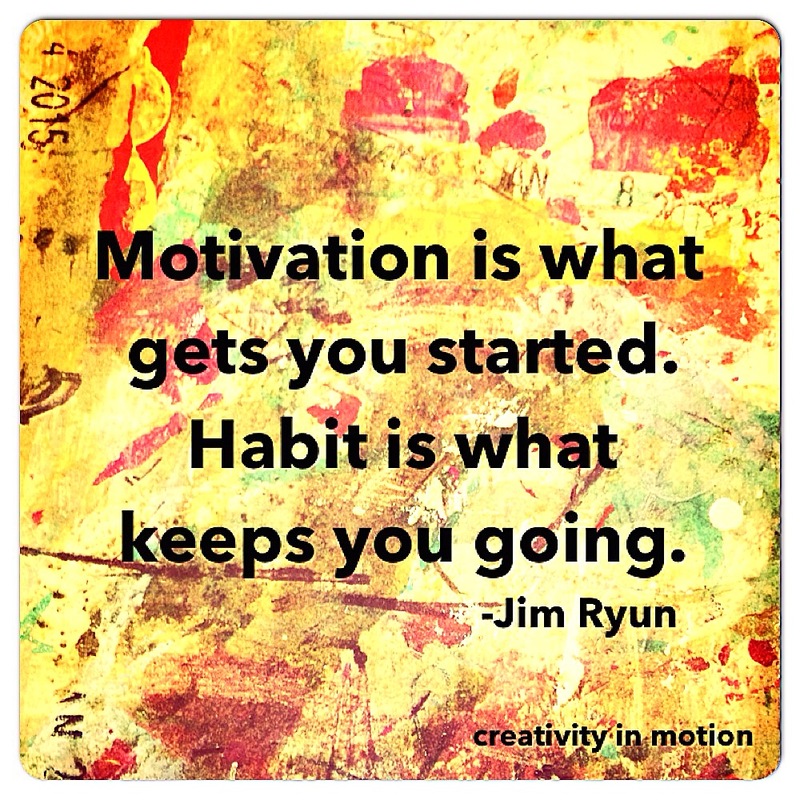 What about you….How do you use or would like to use social media to motivate your creativity? I am very excited to be a presenter for the 1st Annual Creative Arts Therapies Teleconference, August 23-27, 2010 and honored to be co-presenting again on of my favorite topics; social media and art therapy. I will be presenting on Day 2 of the ICAT conference about Leveraging the International Art Therapy Community through Social Media. The presentation will introduce and highlight the many on-line resources and web tools available for art therapists to use for promoting, developing, and supporting international art therapy work and the work of art therapists worldwide. What’s especially innovative about this conference is that attendees can have access to leading edge creative arts therapists practicing across the globe, without having to leave the comforts of home or worry about expensive conference costs. Here’s a way to access affordable learning through the ease of a teleconference! I invite you to join me and the other featured expert speakers for five days about the field of art therapies and expressive arts! Learn new techniques and tools to revitalize your practice, as well as bring new knowledge and energy to your clinical work. Learn more and register below! 2. LinkedIn- I am thankful for the professional contacts and connections I’ve made through this professional networking site. It is also the main hub for the Art Therapy Alliance, where art therapists, art therapy students, and interested professionals can discuss and exchange ideas related to art therapy. This year the Art Therapy Alliance on LinkedIn grew to several subgroups of different art therapy topics. 3. Twitter- This year I started tweeting and following many interesting and inspiring people and sources related to art therapy, social media, art, and technology. I have much appreciation for the news links, twit pics, quotes, and spontaneous commentary that educate and inspire the geek, artist, and art therapist me. Thanks to all who have RT’d my content and help spread my tweeting! Like Josh Peters, I am also thankful for TweetDeck for helping to make my Twitter life a little easier! 4. WordPress- I also started using WordPress for blogging this year and love this platform! Thank you WordPress! And to everyone who has visited Creativity in Motion, read a post, made a comment or recommended it to others throughout the year…. I am thankful for everyone’s input, encouragement and support! 5. Polyvore- I LOVE POLYVORE! This site has been an addicting digital art making obsession since I stumbled upon it a few months ago. Something that’s more fun than creating your own sets is seeing what sets have been made by others! Inspired by this platform was the Art. Peace. Sustainability Interactive Event and where images connected to these concepts have been created and shared within the Art Therapy Alliance community. Thank you to everyone who has contributed so far to this collection! 6. Homestead– My web management and design life would probably not be as easy without Homestead. I’ve used this hosting site for over a decade and use it for several websites I have created and update weekly, sometimes daily. Homestead has always had everything I need, makes web design a no-brainer, and super dependable. 7. Animoto- Another great find I discovered this year through a LinkedIn connection was the video making site Animoto. It’s been a favorite place for me to go to make quick, cool videos and share via Facebook or export to YouTube. I think in 2010 I’ll finally be upgrading to the $30 unlimited pass for making all the full feature films I want! 8. Artsonia– I’m really thankful for this cool gallery that features children’s art from all around the world. Artsonia allows me to check out my niece’s art she’s made in school, which is always a delight and makes me smile! There are other internet things that I could also include such as SlideShare, Skype, Flickr, and Youtube as honorable mentions. It’s been a good year for my social media life on the grid- personally and professionally. I appreciate all the wonderful, creative, and meaningful connection and collaboration that I have experienced and look forward to more! Portwiture– This application combines my love for Flickr with Twitter. Your latest tweeted statuses are matched up with photos from Flickr, creating a visual art expression in mosaic form. Portwiture describes this application as “Your Twitter Status in Photos”. Check out my “Portwit” at http://portwiture.com/gretchen_miller to see what Flickr photos describe my Twitter state of mind. Twitter Data Portraits– Created by Alex Dragulescu, trending words from an individual’s tweets are used to create patterns and a portrait of the tweeter. As described on the Vitmeo site, “the words on the left side of the silhouette show the daily rhythm (one day is two seconds) while the right side shows a cumulative view”. 100 Days of Fry– This illustration project by artist Morgan Ritchie followed and visually responded to the tweets of British actor Stephen Fry through creating a daily drawing and then posting it to TwitPic. See the collection of Ritchie’s 100 drawings here.